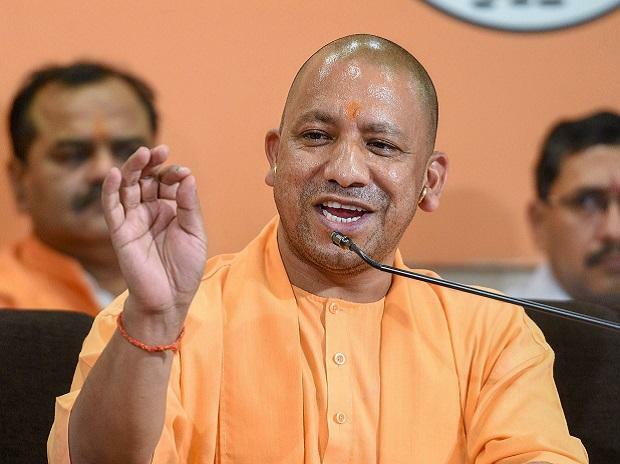 Despite clear directions from the Election Commission of India (ECI), Chief Minister of Uttar Pradesh (UP) Yogi Adityanath’s blatant invocation of the armed forces whom he called ‘Modiji ki sena’ in pursuit of votes in the run-up to the first phase of general elections in the state scheduled for April 11, has the Opposition up in arms. Mamata Banerjee, the Chief Minister of Bengal, said it was “shocking” that her UP counterpart should have used such words for the army. “It is shocking to hear the UP CM saying that the Indian Army is the 'Modi Sena'. Such blatant personalization and usurping of our beloved Indian army is an insult and a humiliation," said the Trinamool leader. Congress leader Priyanka Chaturvedi attacked Yogi Adityanath for “christening” the Indian army as “Modi's army” and demanded his apology. “This is an insult to our armed forces. They are India's Armed Forces not the private army of Prachaar Mantri. Adityanath must apologise,” the Congress leader tweeted. “If we talk about Masood Azahar, then how can one forge the stellar role of NSA (Ajit) Doval who personally ensured the safe return of the terrorist to terroristan,” she asked, recalling the return of the terrorist in exchange for those hijacked in IC 814. The Indian Army had reacted sharply when, inaugurating the War Memorial for the Indian soldiers who had died after independence, Prime Minister Narendra Modi launched into a diatribe against the Congress, instead of using the occasion to extol the sacrifices of the armed forces. ‘Disgraceful @narendramodi ji you have used an event of inauguration of National War Memorial for petty party politics... You did not maintain decorum... Sorry.... It is not a place to give political speech... It is an event of National significance..Sad..” tweeted Col Ashok Singh, just one of the many officers from the defence services who felt the speech was in bad taste and nothing more than an election campaign pitch. “#WarMemorial Dear @PMOIndia please avoid making political speeches on solemn occasions” commented Brig Gurmeet Kanwal. In response, the Election Commission had reiterated that invoking the defence forces to campaign for elections, the use of their photographs and their uniform, and politicisation of the armed forces was prohibited and could attract censure from the ECI. So far, however, the ECI is yet to take cognizance of the UP CM’s remarks, although it is authorised to act even on its own. The Pulwama terror attack in which 40 soldiers were killed, and India's subsequent air strike targeting a terror camp in Pakistan’s Balakot, have been “politicised” and portrayed as the BJP's achievement, many opposition parties have alleged. The ECI is also yet to take action on objectionable language used by Rashtriya Lok Dal (RLD) candidate Jayant Choudhary who said in an election speech that the BJP was prone to using joota (shoes) against its political opponents and was therefore a “jootiya” party.